Most things are reportedly still there, and a new farm-themed topic has been added, to introduce kids to NC livestock and crops. I’m glad to see that the new train table is actually bigger, I was a bit worried it would have to make place for something else. (“Don’t mess with Thomess!”) I think we were actually there the last day that it was open, and it would only be appropriate to go back on the first day it re-opens. 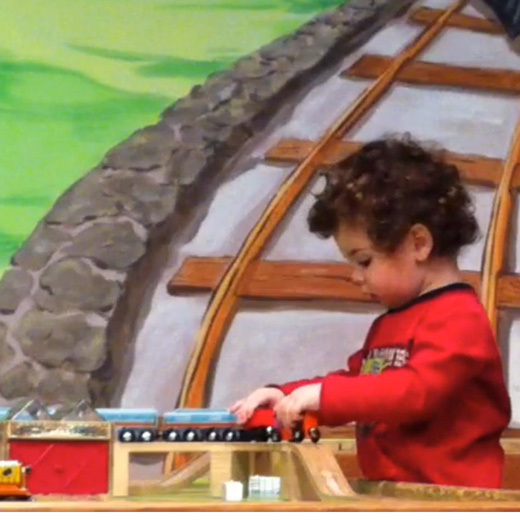 This entry was posted in Action, Active, Animals, Crafts, Food, Indoors, Other, Raleigh, Science, Trains by daddyweekly. Bookmark the permalink.